PackaPro? 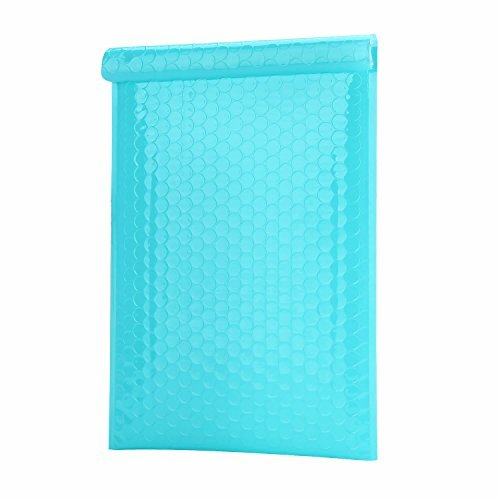 #0 Poly padded shipping mailers have extra wide size of 7"X10" inch, feature a self-seal closure and air bubble, waterproof material to protect your items.Puncture and tamper, light weight and durable! EXTRA WIDE (1 inch wider than the regular #0 6" X 10") - These high quality self sealing poly bubble mailers has and actual outside size of 7" X 10" , it will fit more different sizes of small products and provide outstanding low cost shipping protection for a WIDER variety of products. WATER RESISTANT - These heavy duty poly mailers are water resistant, compare to the kraft mailers, they are more duable, lighter in weight and more secure. No matter rain or snow, your items will stay safe and dry in our poly mailers. SELF-SEALED - These self-sealed closure provides a reliable, tamper-evident seal to secure all enclosures, it makes the packing process become much easier and professional. If you have any questions about this product by PackaPro, contact us by completing and submitting the form below. If you are looking for a specif part number, please include it with your message.